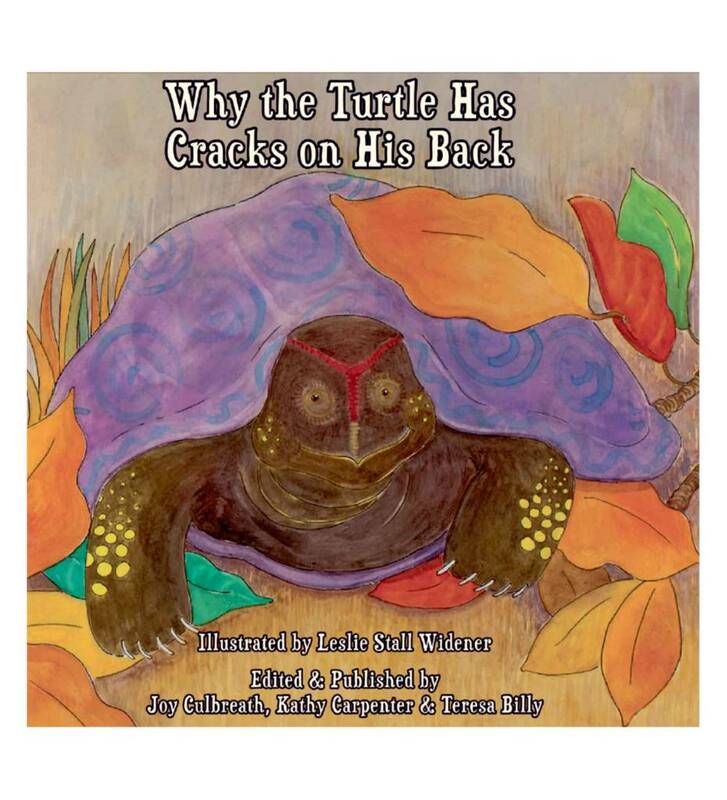 "Why the Turtle Has Cracks on His Back" Illustrated by Leslie Stall Widener; Edited & Published by Joy Culbreath, Kathy Carpenter & Teresa Billy. This version of a traditional Choctaw Story of "Why the Turtle Has Cracks on His Back" is similarly recounted in other Native American woodland tribes from the Southeastern region of the the United States. Choctaw culture also embodies other versions of how the cracks on the turtle's shell came to be. The Choctaw Nation of Oklahoma is committed to preserving the language and the culture of the Choctaw people. May this delightful story entertain and motivate you to become a storyteller of this and other very important life lessons. As with all indigenous cultures around the world, Choctaw stories are representative of why stories found in most Native American tribes. Why stories sought to express the significance and meaning of the world around them. The natural elements, the traits and behavior of animals, and explanations of how things came to be are the basis of oral storytelling passed down through the generations. Many stories were open-ended and taught cultural values, manners and tradition. These ageless stories are given to you to share with new generations of Choctaw storytellers.